The system is designed for optimum energy usage by monitoring the number of people present in the room. The electric loads are switched on as soon as someone is present in the room and switches of on detecting no presence. As soon as a person enters into the room, it is detected by the IR sensor module and this info is fed to the microcontroller. 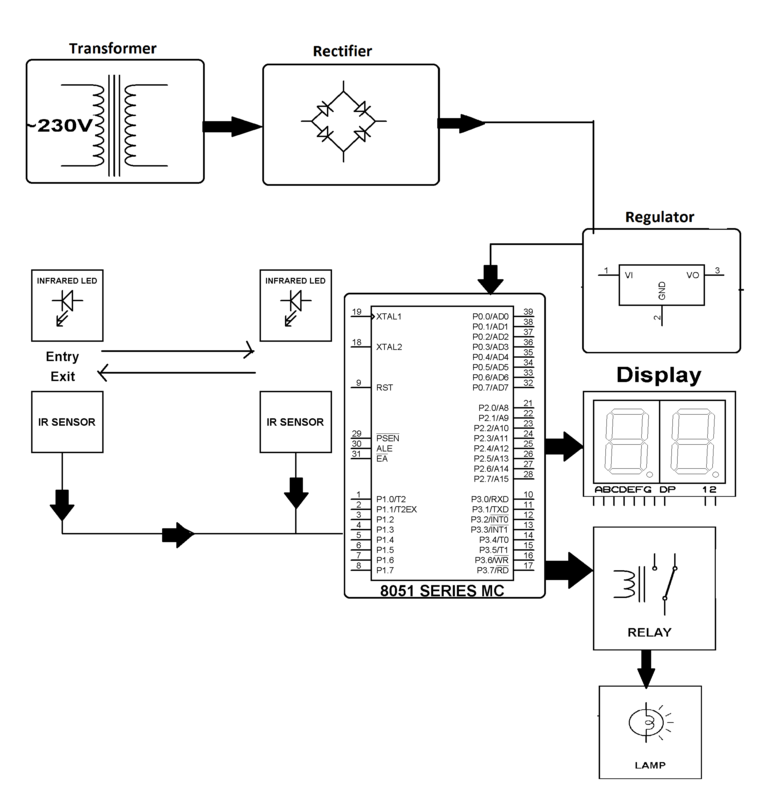 The microcontroller process this input received and switches on the load. 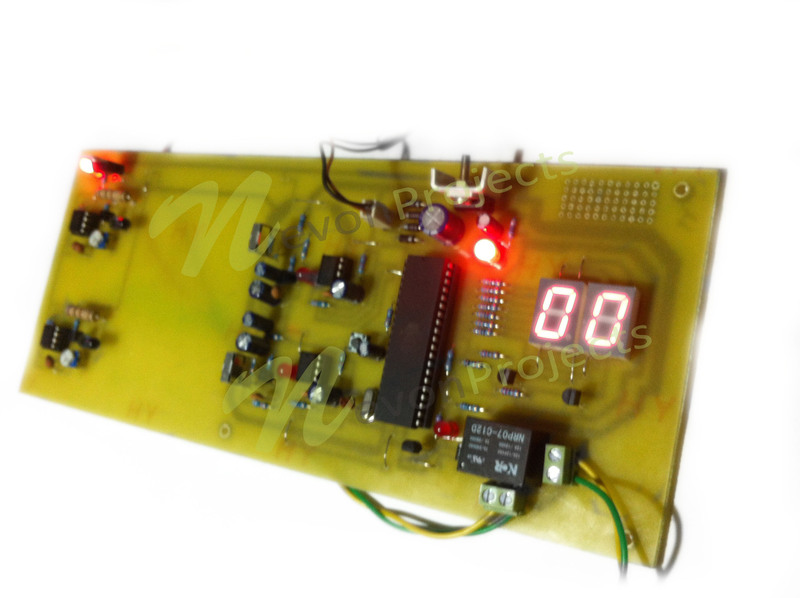 At this time the system also counts the number of people present and increments a counter on each arrival, this count is displayed on a 7 segment display. As soon as the last person exits the room, the sensor detects no presence and hence switches off the load/lamp. A small lamp is used to demonstrate as a load.